Electrify your tone with this sweet-sounding chorus effect. 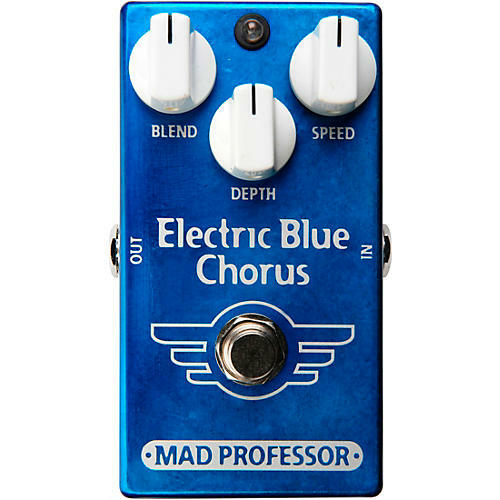 The Mad Professor Electric Blue is a chorus pedal for everyone. A chorus effect is achieved by mixing a dry signal with a modulated signal (vibrato, delay, etc.) simulating the effect of more than one instrument playing the same part. Traditionally one would mix a vibrato effect and a dry signal in equal portions to get the chorus effect. This may lead to a metallic quality of sound.